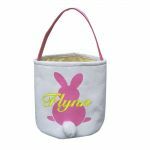 These new Easter buckets are just adorable. 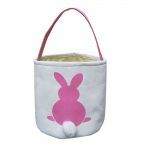 With a bunny silhouette and soft 3-D tail, these will delight even the most serious Easter Egg Hunter! Measures 9"x10".